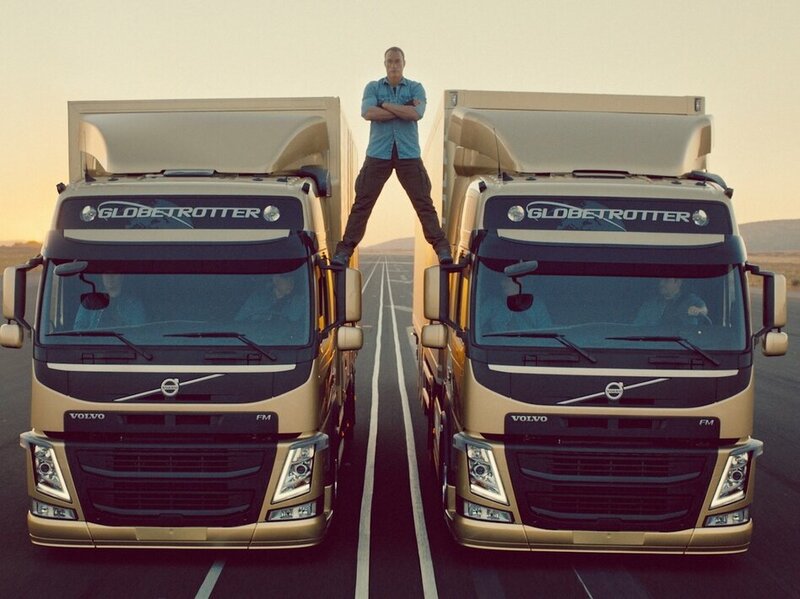 Movie tough guy Jean-Claude Van Damme’s “epic split” between two moving Volvo trucks. Naturally, it’s got folks asking questions. b) How did they do that? According to The Wall Street Journal, what you see is really what you get. Volvo says Van Damme does have one foot on each truck as the two vehicles slowly back up and get farther apart. The stunt, Vihelmsson says, was done in one take. This blogger has to say that his legs — which are a few years older than the 53-year-old Van Damme’s — ache just watching.